THE OFFICIAL MOVIE TIE-IN EDITION. 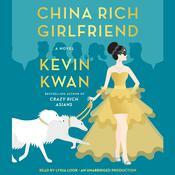 Soon to be a major motion picture from Warner Brothers, the funny, juicy first novel in the bestselling Crazy Rich Asians trilogy, in which the heir to one of the most massive fortunes in Asia brings his ABC (American-born Chinese) girlfriend home to meet the family ... without telling her that they're loaded. 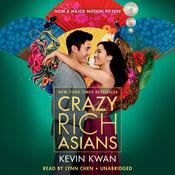 The film releases August 17, 2018 and stars Constance Wu and Henry Golding. When Rachel Chu agrees to spend the summer in Singapore with her boyfriend, Nicholas Young, she envisions a humble family home and quality time with the man she might one day marry. What she doesn't know is that Nick's family home happens to look like a palace, that she'll ride in more private planes than cars, and that with one of Asia's most eligible bachelors on her arm, Rachel might as well have a target on her back. 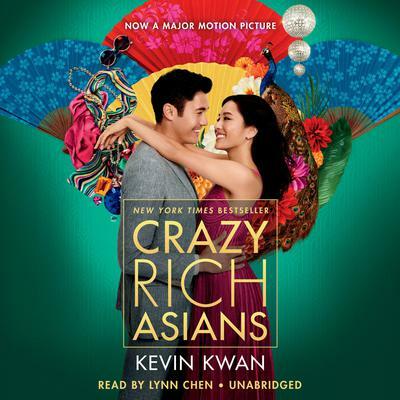 Uproarious, addictive, and filled with jaw-dropping opulence, Crazy Rich Asians is an insider's look at the Asian jet set; a perfect depiction of the clash between old money and new money; and a fabulous novel about what it means to be young, in love, and gloriously, crazily rich. 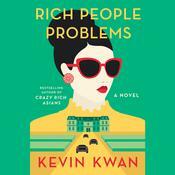 Kevin Kwan is the author of several novels, including the New York Times bestsellers Crazy Rich Asians and Rich People Problems. Born in Singapore, he has called New York’s West Village home since 1995.